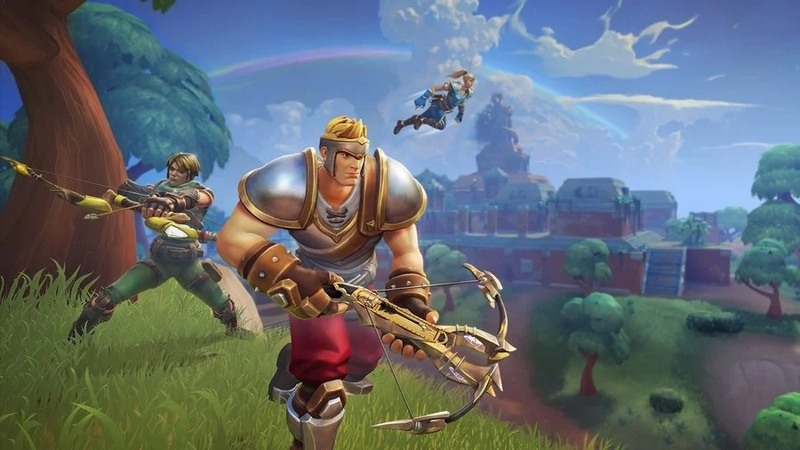 At the beginning of February, it was discovered Hi-Rez Studios was likely releasing its free-to-play multiplayer fantasy title Realm Royale on the Switch in the near future. 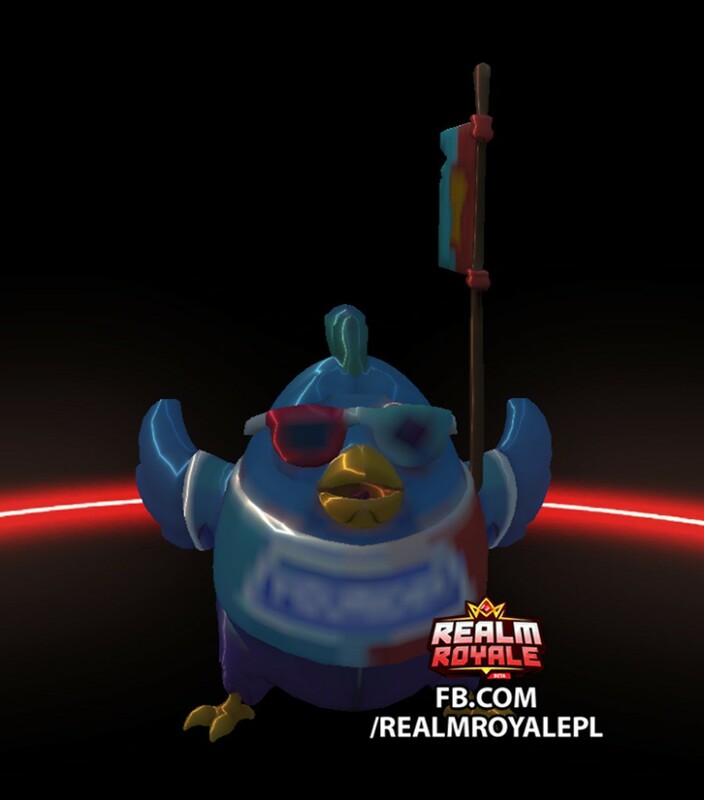 As we've already noted, Realm Royale started out as a spin-off to Paladins and was released in June last year on the PC. It was then made available a couple of months later on the PlayStation 4 and Xbox One. The game has been inspired by titles such as Fortnite, where multiple players drop into a large arena and fight to be the last one standing. Hi-Rez has previously released Paladins and SMITE on the Switch. Both of these games were confirmed for the platform after dataminers discovered Nintendo references within the game files. Is this a game you would be interested in playing on the Switch? Tell us below. .....Looks like Fortnite but even more boring. 20 seconds in theres a guy that looks like link. Battle Royale games are so groovy! I'm pretty fatigued with Battle Royale games, and would rather see MMO's or even the best smartphone games ported to Switch. That is, they would need to be ported without the playtime restrictions, because seeing it on Pokemon Quest was an immediate dealbreaker. Charge me like a regular game, I don't care. I just can't play a game that disrespects my time after my experience with Dragalia Lost. Actually, if you've tried Realm Royale, you'd see there there is plenty that separates it from Fortnite and not just a "lazy clone" game. For one, when hitting 0 health, you don't die immediately. Your character first goes into one of those chicken forms, where if you run around and last long enough your fighter comes back alive, albeit with less health than full. For another thing, the skill system is something Fortnite doesn't have at all. Inside chests and such in Realm Royale you can find skill tokens. Players have to decide which skills they want to take and use, though, as you have a limited set of them (weapons, movement abilities, etc.) Yes, there is no building mechanic in this game, but it is not just simply a "Fortnite clone". Played on Xbox One. It's pretty fun! Any game that lets me yell "RUN CHICKEN RUN!" at my friends is worth my time. Played some of this on PC. I dislike the building aspect in fortnite and prefer the weapon and ability skills this game has. @Rafke - Not defending Hi-Rez and their common reputation for imitation. But... I have not seen a copy close to Smite. Otherwise MOBAs are all copies. Yes, I love this on PS4, but I'd rather be able to play it on Switch. The only battle royale I've enjoyed. I've been waiting to try this game out. I'm tired of Fortnite and once Smash released I haven't had any interest to play it, but this game looks different and a nice change of pace. Plus I enjoy Paladins so I think there's a good chnace I'll like this too. @Joeynator3000 It's debatably more fun than Fortnite with some of it's changes. Like when you're killed, instead of just dieing you turn into a chicken and you can scurry away from whoever killed you. After a set amount of time as a chicken you will be revived. So the fact that after you kill someone you have to hunt them down as a chicken is a pretty neat gimmick. Played on PS4 before and I'd probably try a couple of matches on Switch if the framerate is stable. I play Paladins quite often with friends. We even meet up from time to time. So it'd be great to add another game to that list. Id try it. Why not? I like Fortnite and Apex Legends so this could be a fun option. Worth trying anyway. Looks incredibly boring.... sorry, I just can’t seem to get into “Fortnite-like” games. @Microjak WAIT! A REZ FAN!? YES! I'M NOT ALONE! WOOHOO! @TOMAWOLF This game is really fun. Has a lot going on not to be considered a simple clone. This game is a joy to play. So much better than fortnite as this focuses on abilities and shooting more than building. @Bermanator ha yes,spent many a post rave hour chilling to it on the Dreamcast,now I can live in it on psvr area X ...........,would love it portable on the switch !